Model CU-4-9-1200 is a 4:1 and a 9:1 voltage unun housed in a Nema enclosure box (4″ x 4″ x 2″) with one top stud for 4:1 and another top stud for 9:1 outputs, each capable of input power levels up to 1.2KW PEP when used with a matched load. The 4:1 ratio takes 50 ohms input and matches to 200 ohms output and the 9:1 ratio takes 50 ohm input and matches to 450 ohms output between 1-31 MHz under 1.5 SWR under matched load conditions. A great multipurpose unun for 31′ fiberglass verticals, end fed non-resonant antennas, traveling wave verticals, etc. 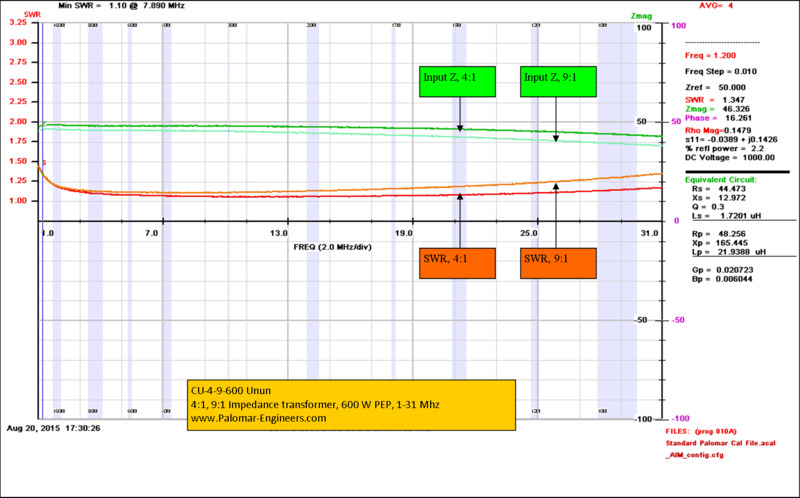 Quad core, Ruthroff style unun with side ground terminal for adding counterpoise, radials as an option. 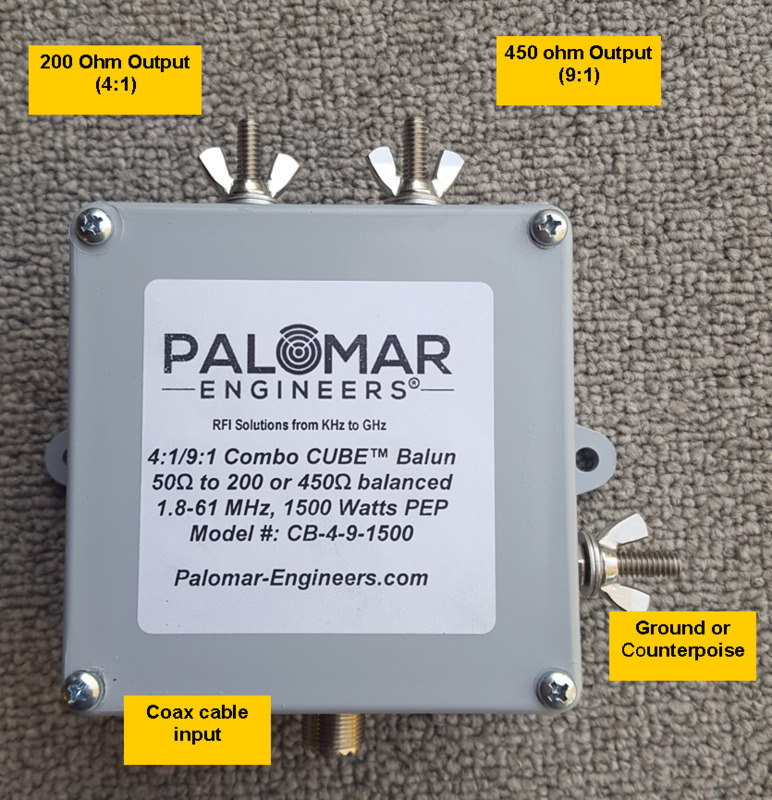 Now you don’t need two ununs – just buy the CU-4-9-1200 and pick the output ratio that best matches your antenna tuner!